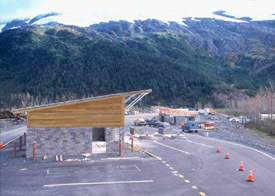 New rock cut on Portage Glacier Road. 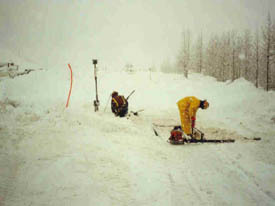 photo credit: HDR Alaska, Inc.
Construction in snow conditions: over 35 feet of snow fell during winter of 1998-1999. 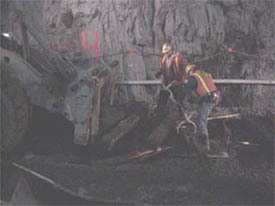 Kiewit workers remove old ties from the tunnel. 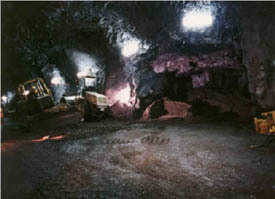 Grading base for roadway/rail panel. 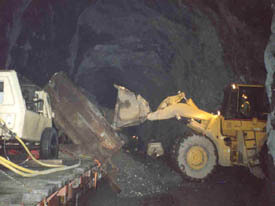 Base material unloaded from railcar in Anton Anderson Memorial Tunnel. 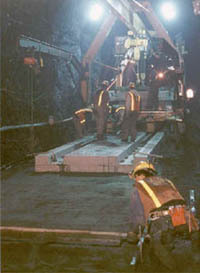 Workers leveled (screed) grade as roadway/rail panel was set. 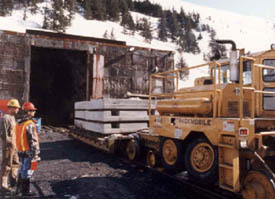 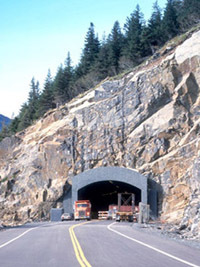 Transporting roadway/rail panels into the tunnel in winter 1998-99. 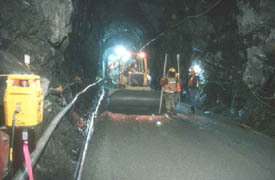 The ice and water control liner was assembled in Portage Lake Tunnel for use in the Anton Anderson Memorial Tunnel. 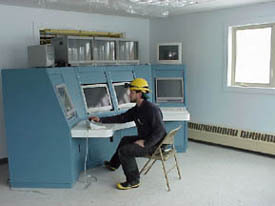 Technician working on control console in Tunnel Control Center. 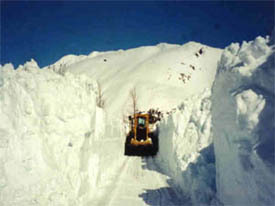 April 2000. 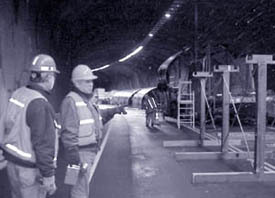 Railroad workers adjust new railroad track switch during winter months. 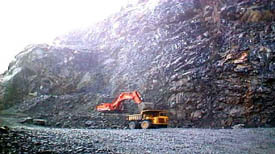 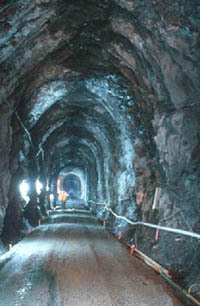 Interior of tunnel: preparing base material for roadway/rail panel. 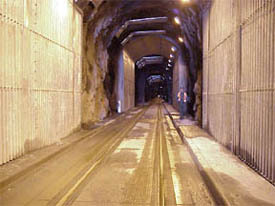 Laser in use to set grades in the tunnel. 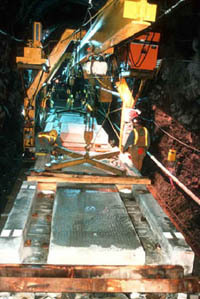 Needle Beam Crane used for laying panels. 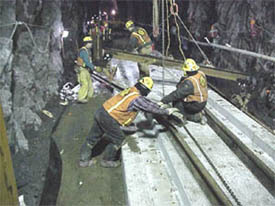 Temporary rails being installed in roadway/rail panels. 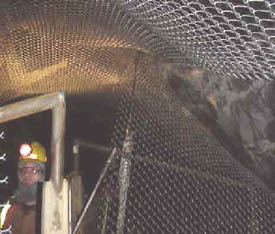 Wire mesh used in tunnel roof to catch rocks that may work loose over time. 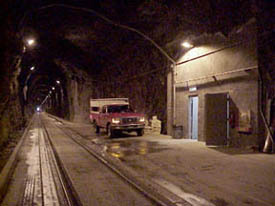 in Bear Valley. 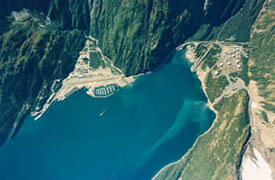 April 2000.